Image courtesy of Carol Ann. 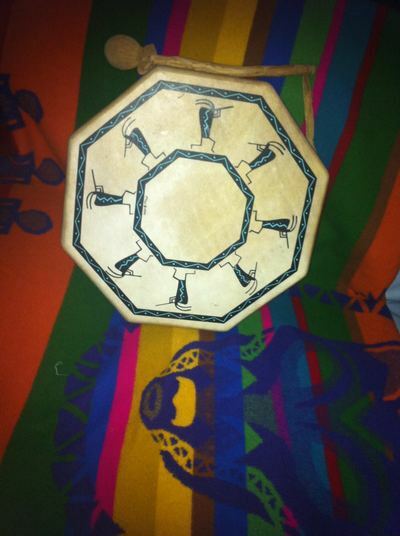 Carol Ann's drum. As many of you have already gathered from my recent article review on the Destiny Wellbeing Centre at Neutral Bay; you can tell that I am a fan of their spiritual healing work. Their therapists are experienced, gifted and talented. They're natural, nurturing and caring healers helping you breakthrough and put your best foot forward in a safe, harmonious environment. Destiny at Neutral Bay run a variety of workshops to enlighten one's life. The next workshop will be a shemanic healing workshop with their very own Carol Ann, of who is well versed and respected in many different modalities at this healing centre. Helping you identify and live your soul purpose. If you're engaged in work that is a grind for no apparent reason - the drumming and meditations that Carol Ann will have available at this event will be really valuable. Great nourishment and pampering opportunities to help you relax. Learn (and discover) how to really listen to your heart. Get to know, feel and really love yourself in raising your consciousness and vibration to abundance - if not more abundance in your life. Become lighter and more expansive while unleashing that animal (power) within. I've had a number of years experience in natural medicine, and even I've personally been healed and transformed through Carol Ann's presence on many occasions. Destiny is one amazing place for spiritual healing and transformation. 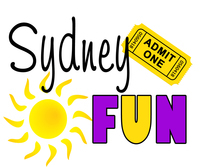 With such positive shifts, the activities and experiences you discover here on Sydney Fun will be at least 10 times (if not way more) enjoyable for you. Carol Ann has had well over 30 years experience as a natural and spiritual healer. In her presence you'll easily gain more clarity on your life design and direction. I'm looking forward this amazing night of transformation, healing and relaxation to amplify my fun. Further information and/or bookings, please call Destiny on 9953 9030. Where: Shop 7, 166 Military Road Neutral Bay NSW. Why: For personal breakthroughs and development - benefits and information above. When: On the evening of the 18 July 2014. Workshop starts at 6pm, and runs for 90 minutes. Best public floral display in Sydney? Best hair salon in Sydney? What are the signs that your monthly menstrual cycle is coming?